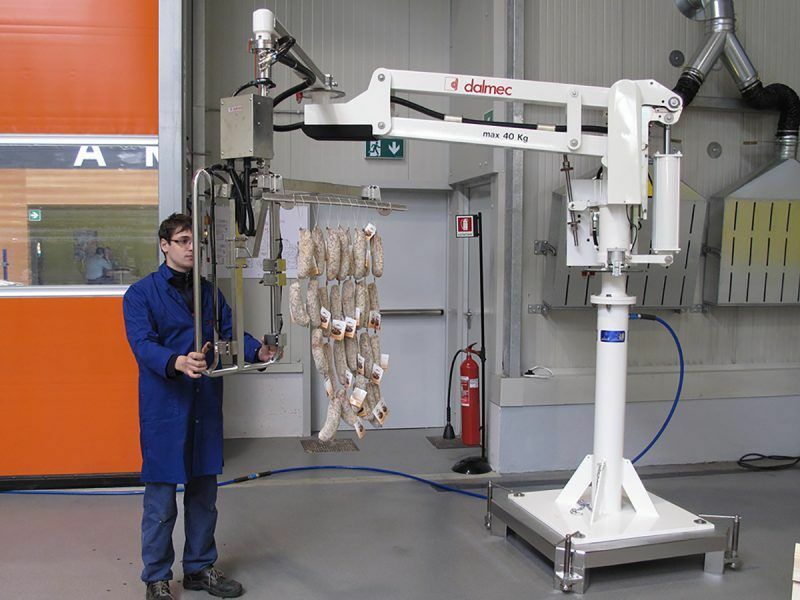 Dalmec Manipulator equipped with particular stainless steel hook for picking and handling of cold meat – salami. 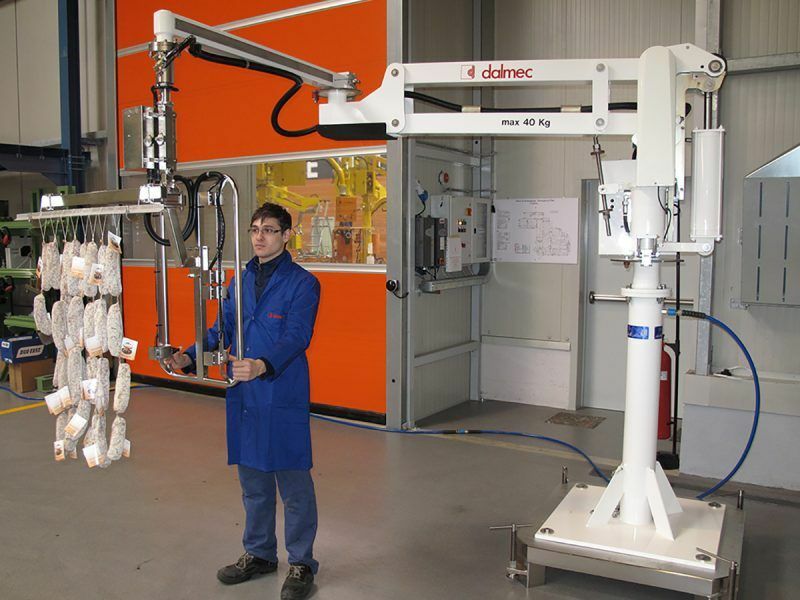 Our pneumatic lifters, designed and manufactured according to specific movements are studied on the functional needs of the production processes of each individual client. Partner manipulator column mounted version with portable baseplate, terminal arm and tooling made of stainless steel, suitable to be used in food sector environments.